At three minutes to midnight on Thursday, Cambridge City Council got round to discussing the impact of proposed cuts to university funding on Cambridge. By the time the item, towards the end of their full council agenda, was reached many Liberal Democrat councillors had gone home and even the mayor, who was chairing the meeting when it started six hours earlier, had disappeared. One of the clearest summaries of the proposed £950m higher education cuts is Lord Mandelson’s 14th January 2010 article in the Guardian (his letter to HEFCE provides more detail of Government strategy in certain areas). Also Cambridge University stands to lose £4.2m as a result of the Government scrapping its specific funding for universities’ historic buildings and there is currently an ongoing review, due to report in March, on university museum funding. At the beginning of the full council meeting Conservative Parliamentary Candidate Nick Hillman used the opportunity for members of the public to address the council. He was aware that a council motion to be debated later during the meeting called on the Parliamentary candidates for Cambridge to defend the Cambridge economy from the risks which Liberal Democrats Bick and Nimmo-Smith, who were proposing the motion, said would arise from the cuts. Mr Hillman came to the meeting to tell councillors in person that he would support them in seeking to protect the interests of the city and its universities. He said he wanted to associate himself with the motion, and said it was in his opinion “regrettable that the two universities in Cambridge were being asked to take the biggest share of the cut”. He said Cambridge was to be the worst affected city, per head of population, due to anticipated cuts in funding for university museums and university’s historical buildings, he noted both UEA and Cambridge University had historic buildings. Mr Hillman supported the idea of the council writing to the government and said he hoped the government would take on board what was being said. The Leader of the Council, Ian Nimmo-Smith, responded to “broadly welcome” Mr Hillman’s support but said he “noted with regret the partisan tone”. I didn’t spot anything partisan in Mr Hillman’s contribution. Having spoken shortly after six in the evening commendably Mr Hillman, and a couple of his Conservative Party colleagues, were still in the public gallery when the motion was considered at just before midnight. Often when public questions relate to agenda items the items are brought forward and taken early on in the meeting so members of the public don’t have to sit though hours of debate to wait to see what happens when the matter they spoke on is deliberated. This is at the discretion of the chair though and appears to vary depending on who the public speaker is. recognises that the higher education sector in Cambridge is a major engine of the local economy, and a key gateway that offers access and opportunity to be part of the educated, qualified and skilled workforce on which local economic development is critically dependent. is apprehensive at the prospect of an estimated £2.5b of cuts in funding for universities nationally over the next three years. believes that the government’s planned financial retrenchment will have a serious impact not only on jobs in the city’s universities but also on the wider economy. to the Greater Cambridge Partnership asking them to monitor the impact of any higher education cuts on the sub-regional economy. to local MPs and prospective parliamentary candidates urging them to commit to defend the Cambridge economy, and with it the wider national interest, from these risks. Cllr Bick introduced the motion saying that 16,000 people in Cambridge, amounting to 18% of the workforce, were employed by the city’s universities. He said they were to Cambridge what Longbridge is to Birmingham and Vauxhall is to Luton. He said 65,000 jobs in the region depend on money spent by the universities and that they were also key to the “Cambridge Cluster”. He explained that his calculation of £2.5bn had been made by taking account of government promises to ringfence funding for the NHS and schools. Cllr Bick said he had concerns relating to “excellence and quality”, he said higher education was one of the few areas left where they country still punches above its weight, and does so on a shoestring. He said Cambridge’s endowment is only 20% that of Harvard and said the USA, France, Sweden and Finland spent more as a proportion of GDP on higher education. He said it would be: “a shame to undermine a field where we do excel”. Cllr Bick claimed that “access” would be damaged by the reduction in funding; pointing to a 6,000 place reduction in the number of university places this year compared to last. Cllr Bick spoke about the East / West balance of power; he said we need to win our bread in the world. He said that the cuts threatened more scientists leaving the UK and moving to the USA or Singapore. Leader of the Labour opposition, Lewis Herbert, responded. Cllr Herbert said he agreed with a large amount of what was in the motion, but said that just as Liberal Democrat Ian Nimmo-Smith had accused Nick Hillman of making a partisan statement, he thought that the Liberal Democrats’ motion had a partisan tone. Cllr Herbert claimed the motion implied: “Labour people in this town don’t care about higher education”. Cllr Herbert, apparently speaking on behalf of the Labour party and the Labour Government (though wearing a pink jumper rather than his more typical red) said that since 1997 the current government has made higher education one of its top priorities. He said that research funding and student numbers had both risen dramatically in the last decade. He accused the Liberal Democrats of trying to use the motion to attack the government. Cllr Herbert said that next year the student intake at ARU would be back to 2008 levels, and said this was “no cataclysm”. Cllr Herbert also complained that the motion didn’t require the council to actually really do anything beyond writing letters. A Labour amendment proposed the city council expanding its “Draft Economic Development Statement” to include a strategy on increasing the contribution of higher education to the Cambridge economy. is committed to retaining the benefits of record current Government investment in higher education in expanding student numbers, in increasing research from £1.3bn to £4bn, and in financing major new higher education building programmes in Cambridge and nationally. supports the Government aim of 50% of school leavers attending University and taking degree level courses. The council therefore instructs the Leader and Chief Executive to write to government ministers asking them to give clear priority to higher education in future national financial reviews. and also commits the Council to action with the county and Greater Cambridge Partnership, including asking the Executive Councillor for Climate Change and Growth to expand the Council’s Draft Economic Development Statement to include a strategy on increasing the contribution of higher education to the Cambridge economy including to expand Cambridge high tech research and local engineering industries and employment. Cllr Herbert took the opportunity to attack the Liberal Democrat MP David Howarth; he said that while a council member Howarth had said: “Companies like Marshall don’t need a CB postcode”. Cllr Herbert said Cambridge does need the high quality engineering and other jobs Marshall provides. Cllr Herbert pointed to signs the University of Cambridge was doing all-right for itsself, citing new building projects and drawing attention to fact a £940m endowment had been raised was reported in that day’s paper and the university was on track to reach £1bn two years a head of its target. Labour’s Cllr Blencowe spoke to second the amendment; he focused primarily on students who would be affected by a drop in the numbers of university places. Liberal Democrat Leader Ian Nimmo-Smith responded, bizarrely summarising the Labour speeches as “It’s none of our business”, “we’re fine” and “we don’t need it”. Cllr Herbert suggested Cllr Nimmo-Smith ought respond to the amendment as it was written; what was being proposed didn’t say those things. Only Labour members supported their amendment when it was put to the vote, which was not surprising as it was a partisan pro-governemnt amendment. Conservative Cllr Howell joined the Liberal Democrats in voting against it which prompted jeers from the Liberal Democrat benches, Cllr Howell explained his vote with the words: “terrible amendment”. Cllr Cantrill turned to the public gallery to say: “I hope Mr Taylor’s got that”. I did; Cllr Cantrill knows that my view is that party politics doesn’t add any value at all to Local Government in Cambridge, but if he was trying to make sure the opinion that Labour had been particularly terrible was recorded he’s missing the fact that his own party were massively exaggerating the position to make out, presumably for electoral purposes, that the current government position in this area is much worse than it actually is. I’m not a supporter of the current government, but the election ought be fought on the facts. I am surprised that Cllr Herbert and the Labour party didn’t seek to amend the motion to one which would have gained unanimous support within the council as that would I expect provide a much stronger signal to central government that the people of Cambridge through their elected representatives really care about the future funding of the universities in the city; as it is what we’ve got is an exaggerated and scaremongering stance from the Liberal Democrats designed for electioneering which was voted for only by the handful of Lib Dems who were still prepared to sit in the chamber and be back bench lobby fodder at half past midnight; along with Green Cllr Margaret Wright. A very large number of councillors, mainly Liberal Democrats, declared an interest as either they or their partners work for a university. The council leader “occasionally gets paid for supervisions”, which makes it sound as if he does more than he gets the money for; Sian Reid declared that she works for the Open University (as an associate lecturer in the business school according to her entry in the register of interests). Cllr Rosenstiel announced he was “an MA of Trinity College” and after a pause for affect he added “Cambridge”. Labour members heckled asking what that had to do with anything; I suspect Cllr Rosensteil declared an interest as a result of Cambridge University’s opinion that all those who’ve ever matriculated remain “members” for life. I think it is absolutely absurd to compare the possible effects of government cuts to universities in Cambridge with the closures of car manufacturing plants elsewhere in the country. Cambridge Liberal Democrats are infamous for their ludicrous scaremongering, a recent example being Belinda Brooks-Gordon’s campaign against a hypermarket, which wasn’t really being considered, on the North West Cambridge site. If Cllr Bick really thinks there’s a risk of 18% of the Cambridge workforce finding themselves out of work he’s complete barmy. He’s not completely barmy, but he is a Liberal Democrat, and this is how they campaign. Quite where Cllr Bick gets his 16,000 staff figure from I don’t know. Anglia Ruskin University has 1,700 staff spread across its two main sites of Cambridge and Chelmsford and the University of Cambridge has about 9,000 staff. I believe his “18% of the Cambridge workforce” isn’t far wrong though for Cambridge City itsself as the last census showed about 46,000 or 46% of people in Cambridge were employed, 20% of them in Education. Regardless of the figures the changes proposed to higher education funding are not going to result in universities closing down. There are certainly dramatic changes in higher education funding proposed, but there is nothing which threatens the existence of Cambridge’s universities. The most recent statistics show 49.8 per cent of sixteen year olds obtained 5 or more GCSEs at grade A*-C. The current Labour government position of seeking to have 50% of school leavers going to university means that they want to see all those who get 5 A-C grade GCSEs or better going to university and taking degrees. I think this is nonsense, and results in people going to university who aren’t best placed to benefit from it and inevitably results in the lowering of standards on degree courses. Expansion in the higher education sector has seen a huge gulf in quality emerge between the best and worst degree courses in the country. Students have not benefited, the country hasn’t benefited, and I’m concerned about the risk of low quality offerings reducing the long term viability of our national higher education “export” business. I would support the Labour party aim of 50% of school leavers attending university, in fact I’d aim even higher, but only once education at earlier levels has been improved to the point where such a large fraction school leavers are ready to go on to higher education; that isn’t the case at the moment. The number of people leaving UK schools without even decent GCSE grades is awful. Education at early years is where the greatest impact can be had and where efforts need to be focused. I think at the heart of restructuring higher education funding needs to be a focus on quality, and not social engineering, expanding “participation” and encouraging young people to take out debts to contribute to payments for courses of dubious value which the taxpayers are also putting money towards. Spreading money too thinly is something the current Labour Government has done both in terms of teaching and research. I think Cambridge needs to send a representative to Parliament to argue for investment in excellence, investment in quality, investment in areas which will strengthen the future position of the country’s economy. Departments within all of Cambridge’s universities would do very well out of a government funding scheme for higher education which concentrated resources on the best performing institutions; I think such an approach would also be right for the country. There is no point propping up a huge, but mediocre, higher education sector we need to focus on excellence; and that doesn’t mean paring things down to the “top universities”, excellent researchers in whatever institutions they’re based ought be eligible for research funding and it ought be distributed on the basis of merit. I would disconnect the awarding of research grants for individual projects from institutions. I see no reason why applications for research grants should be limited to those already employed at certain levels in institutions as this just focuses research funding on a elite, those with titles and positions rather than those with the innovative ideas and skills. We are getting Higher Education funding wrong as a country when we see our top research universities including Cambridge, Imperial and the LSE receiving a reduced share of funding, and in the case of those three real terms declines in funding. I think one key aim of higher education policy ought to be to maintain, and to some extent regain, the UK’s position as a world leader in medical and life science research. Where the output of research is to be published the publications ought be made freely available via open access journals. It is not good enough just to allow copies on researcher’s own websites (though that is a good thing); if a balance has to be made between propping up an outdated publishing industry which adds little value to the process of communicating scientific results and revolutionising science by freeing up information sharing between scientists we’ve got to go for the latter. I think publishers will reform and survive, adopting a less leech like business model which involves adding value to the process of furthering scientific and technological progress. As well as opening up access to published results, better data sharing (and equipment sharing) needs to be insisted upon as a requirement of public research funding. I think we need to see a lot more democratic leadership from our elected representatives. Just as we saw in the USA with the moon landings I would like to see aspirational targets for scientific research clearly set out by parliament and government, and in some areas co-ordination and aspiration ought be at a higher and even global level as we’re seeing to some extent with nuclear fusion research. As in other areas with what we’ve seen with research funding in the last decade is huge increases in the levels of spending but without enough to show for it; I think the spending has been reckless; it has been spending and not investment. Cambridge has had a number of special funding schemes; college fees make it more expensive to fund graduate researchers here than elsewhere and for a period the separate £65m Cambridge-MIT institute grant poured money into Cambridge University in an indefensible manner. The fact this indefensible “patch” was needed shows the underlying research funding model was wrong, and not in the national interest. To a large degree many parts of Cambridge University are coasting along, and are not being pushed to ensure they fulfil their potential. I think the college system in Cambridge could add a lot to the experiences of staff and students, but it isn’t working from the perspective of post-doctoral and post-graduate researchers, or even many (most?) academics; the system needs reform to account for the dramatic changes which have occurred in the last decade or two. To ensure that the colleges are never detrimental to research minimum standards for what they provide need to be agreed and sharing of good practice encouraged; their ability to veto degrees ought be limited to cases where students are in debt to their colleges. I think universities ought be self governing, democratic, institutions. It is a good thing that the proportion of university funding coming from taxpayers is dropping, but there is still significant public money going into them and we need to use that to have an influence, even if it is primarily to ensure the structures are in place to enable staff and students to run their own affairs. 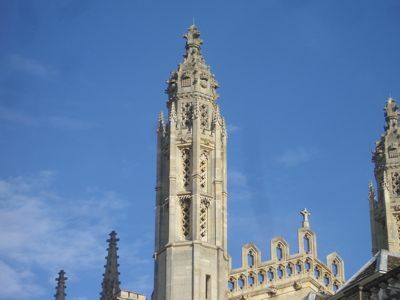 The ongoing debate within Cambridge University on staff disciplinary procedures is the kind of thing which could be avoided if as taxpayers we only funded universities with appropriate arrangements in place, we would get better value from institutions which operated in an open manner with fair disciplinary schemes and protections for whistleblowers. It is very important that we spend, or preferably invest, public money well. We need to insist that students and researchers funded by the UK Taxpayer are treated as well as those funded from other sources. This doesn’t happen at the moment. Research councils shouldn’t just throw money at universities and forget about it, they need to do a lot more to ensure they’re getting value for money; the relationship between universities and research councils in the UK is bizarre given that the research councils ought be holding the public purse strings; at the moment it looks as if the research councils work for the universities and that needs turning on its head. We also need to stop sending money research funds via Europe and back instead of spending them directly; on a related point it makes little sense to lumber universities with poor quality european post-docs on European Union social engineering schemes which are almost as bad as those thought up by the USSR. In research funding as so many other areas the UK funds schemes which UK individuals and UK institutions get relatively little out of. Back to the general subject of spending public money well in universities as in other areas of the public sector there are large numbers of non-jobs within universities, the holders of many of which simply frustrate the aims of the institution. I find it particularly galling that “technology transfer”, commercialising the outputs of research at universities, is something which has been tackled very poorly in the UK. Efforts have resulted in a lot of non-job creation – and not much beyond that. Nationwide we should have a clearer position on exploiting the output of research. Too often academics set up companies to essentially allow them to tick a box on a research grant application giving evidence of a route to exploitation. We need to ensure universities’ policies on ownership, and exploitation, of intellectual property for both staff and students are simple, clear and fair; in Cambridge the underlying policy is generally clear though there are areas where it needs to be improved, for example clarifying that the university has no claim at all on collaborations between two or more students outside of research groups and where the university doesn’t have any input and detailing what fraction of the shares in a new company the university has a right to when commercialisation is initially by transferring the intellectual property to a newly formed company. Organisations like Cambridge Enterprise need to be so good that researchers don’t want to avoid them, but actively want to see them involved in commercialising the outputs of their research. The existence of companies like IP Group PLC shows that there can be success outside of university run commercialisation, but it is a terrible indictment on what’s being done within universities that schemes exist which involve half the university share of the profits (ie. half the public share which could be going towards abolishing tuition fees and reduce taxpayer funding of universities) going to IP Group shareholders. Academics need to be given more options, more choices so they can find the best source of support; there need to be national arrangements, across the university sector perhaps also involving central government or the research councils aimed at keeping the benefits in, and strengthening, public technology exploitation organisations. Having already explained how I’d like to see it paid for, I should make clear that I am completely opposed to tuition fees for UK students doing their first degrees. A key fees related factor for another university with a presence in Cambridge, the Open University, is cuts which have already happened to funding for those taking university courses aiming for equivalent or lower level than a qualification they already hold; I generally support that policy but think that the exemptions to it ought be flexibly expanded in the national interest (currently the exemptions are teacher training and an MA in Conservation at Camberwell) other professional development focused courses in areas where individuals and employers would be unlikely to be in a position to fund the courses (eg. in the cultural and creative fields) ought be considered for exemptions. While one aspect UK higher education is now an “export business” that’s a rather disingenuous, albeit useful, description. Students moving between counties is immensely valuable socially in terms of improving understanding of other countries, cultures and ways of running societies. I think that while exporting higher education we are also able to “export democracy”; bringing people from places like China to the UK, and particularly to institutions with strong democratic students’ unions, will have economic benefits but in the longer term. Have two countries with leaders educated in UK universities ever gone to war? Shorter degrees are one element of the proposed cuts to the higher education budgets. I think this is a good idea as long as standards can be maintained and has the potential to improve the accessibility of university education though reducing living costs and lost earnings. I am concerned that the proposals may result in a reduction of quality of degrees, but don’t think that is a necessary effect of enabling them degrees to be completed in a shorter period. Lastly I’m going to mention students’ unions; which I think have a huge role to play in keeping standards high, and ensuring students get good value for what they, and taxpayers, invest in their education. Protest Against Increasing University Top-Up Fees – Article contains more detail of by views on tuition fees, and views of the party candidates. Comment containing more of views on tuition fees and students unions. Article containing my suggestions relating to governance of the University of Cambridge. Research Funded by the UK Taxpayer Should be Published in Open Access Journals (comments also discuss importance of data sharing). Review: The History of Imperial College London – my, criticised, attempt to précis some of the more interesting elements of a rather hefty book. said it was in his opinion “regrettable that the two universities in Cambridge were being asked to take the biggest share of the cut”. it is nice to see further on in the article a mention of the Open University. Julian Huppert at the recent Vision for Cambridge event also mentioned only two universities in Cambridge. There is a regional centre for the Open University in the East of England on Hills Road. You are correct that the Open University is being affected by cuts in funding for equivalent or lower qualification level, otherwise known as ELQ. Many students choose a part time route to study when re-qualifying and so this will impact the university in a big way on top of all the other funding cuts being announced. Hillman’s comment seemed partisan to me. That said, I’m not sure why Nimmo-Smith was complaining. It was an entirely partisan motion and one more slightly partisan comment isn’t going to make much difference. I don’t really see the benefit Labour councillors would have obtained from drafting an amendment acceptable to all. The Lib Dems would still reject it, as the entire point of the motion was to score political points. Therefore it made sense for Labour to fight back. What I am suggesting the Labour amendment could have done was change the motion to make it acceptable to all councillors. I think the Liberal Democrats would have accepted some changes if that had resulted in the council taking a unanimous view. In fact I spoke to Lib Dem Cllrs Pitt and McGovern afterwards and they too expressed surprise that the labour amendment had not been aimed at seeking agreement. Had there been more time; and had it it not been well past midnight (by that time Lib Dems and Labour had agreed to limit speeches to get through the business) other Lib Dems might well have proposed a further amendment setting out a position all could agree on. Had both sides not insisted on their silly party posturing they could have gone straight there in the time they had. A unanimous position would have given all those lobbying government, such as the university, the council leader and chief executive, MPs and Candidates, and students much stronger backing from the city’s representatives. The fact that both Liberal Democrats and Labour focused on the political bickering was in my view detrimental to the interests of the city; but if people keep voting for political parties that’s what we’ll keep getting. We get the elected representatives we choose. We could have people standing up for what’s best for Cambridge and what’s best for the UK. One of Cambridge’s unelected parliamentarians; Lord Rees, the Master of Trinity College Cambridge made a short speech on Higher Education funding in the Lords on the 25th of February. He warned anticipated cuts risk our position with respect to global competitors. He appeared to be calling for tuition fees to rise dramatically saying: “We need urgently to expand other funding channels, especially student fees.” I disagree with him that student fees are the funding channel which it is best to seek to expand. I would like to see the focus on profits from commercialisation. Lord Rees also called for: “more concentration in graduate education”; I agree there are benefits to specialism and collaborative working; I disagree with him though that “courses” and “graduate schools” for those working towards PhDs are desirable. An active, and open, research community with plentiful accessible presentations from leading researchers is important and if that’s what he’s proposing, but I’m concerned he’s suggesting “Americanising” the UK system. Undergraduate and perhaps some Masters degrees are the place for “courses”, a PhD should be about making a novel and substantial contribution to research in a particular area; not about as Lord Rees also implies, “instruction”. I agree with Lord Rees that it doesn’t matter where the concentration of excellence is, if it’s at Cambridge or in a “former polytechnic”; but I think Cambridge would do well out of a system where funding wasn’t spread too thinly and followed excellence. Enabling that press release could well have been the ulterior motive behind the Lib Dems presenting a motion they knew Labour would be unable to support. The Lib Dems don’t allow people to comment on articles on their site; if they did I suspect there would be lots of action! 1) Lord Mandelson’s article in the Guardian includes some errors, according to those in the university world that I have spoken to, so it is worth reading only alongside other coverage, such as that in the Times Higher Education Supplement over recent weeks – see, for example, this article http://www.timeshighereducation.co.uk/story.asp?sectioncode=26&storycode=410360 (which I declare an interest in as I helped write it). 3) The Lib Dem motion did slightly over-egg the pudding by using the Russell Group’s somewhat discredited £2.5 billion figure for cuts. To that extent, the Labour councillors were right. However, the cuts are big so – in a spirit of bi-partisanship – I chose not to focus on the precise figure in the limited time I had but instead chose to focus on trying to build a united front defending Cambridge on this important issue. It is good to know that the Conservatives and Lib Dems apparently have no intention to cut higher education funding. However, since they appear to be committed to even greater cuts in public spending than the present government, it would be interesting to know what they do intend to cut instead.